Audi and Marvel Studios have teamed up for the release of Avengers: Age of Ultron. The film will feature the next-generation Audi vehicles alongside the next generation of Avengers characters. For the promotions, Audi will also release exclusive pieces of digital content available on the Audi brand’s Avengers: Age of Ultron website. The brand is also collaborating with Marvel’s comic book creator Stan Lee to create a digital short film videos closer to the film’s release. The original video will be distributed on the Audi brand’s YouTube channel. The upcoming Avengers: Age of Ultron will reinforce the Avengers’ trademark characteristics by unveiling the redesigned Audi cars. Giovanni Perosino, head of marketing communication at AUDI AG, said that Tony Stark was chosen was he was the ideal character to represent the next generation of Audi R8. 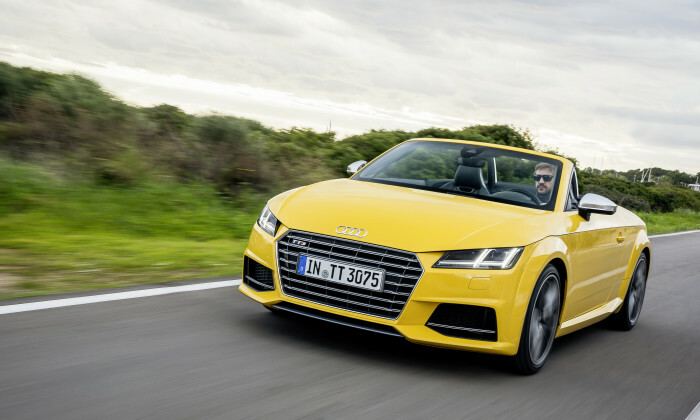 Audi vehicles have also traditionally been prominently featured across Marvel’s Iron Man installments with the Audi R8, R8 Spyder, R8 e-tron, A8L, S7 Sportback, S5 Coupe and the Q7. The agency aims to strengthen its expertise in industries such as hospitality, sports & fitness as well as events and entertainmen..
"Stealing abalone? You'll end ab-alone in prison.".. This aims to pay tribute to four years of close collaboration between the Starbucks China Farmer Support Center and local coffee f..